BEDFORD-STUYVESANT — The New Year kicked off with a rough start for some Bed-Stuy businesses that closed down after years serving the neighborhood. Brooklyn-based Crazy Legs Skate Club ended its six-year stint at a Salvation Army center on Kosciuszko Street in January, citing the organization’s refusal to let skaters use the space anymore. Like several other businesses that shuttered recently, the club's members are actively searching for a new home in the borough. Following nearly 70 years at the Bedford Avenue location, the famed local barbershop gave its last haircut on Dec. 31. Barber and owner Mark Johnson cited an increase in rent and gentrification in the neighborhood. It was also a known hangout for Notorious B.I.G. and generations of loyal customers. 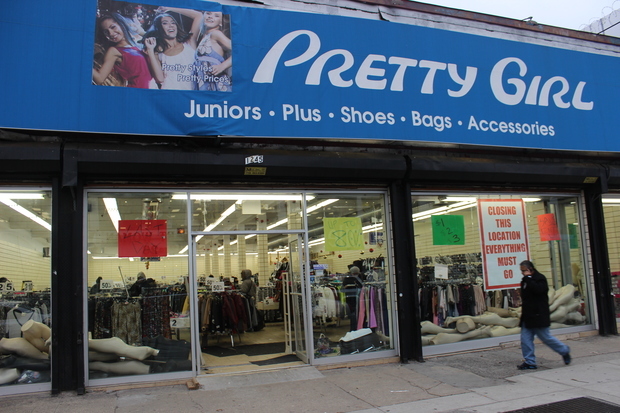 The clothing store on Fulton Street shuttered to make room for a 22,000-square-foot Planet Fitness. The one-story building is being converted into a three-story gym space this year. Local artist Pablo Sue-Pat sought to find a new, larger location in the neighborhood for the café, which regularly featured artwork along its walls. The Bed-Stuy indoor-outdoor café and bakery lost its space behind the 375 Stuyvesant Ave. Mansion after a fire last May. The incident marked the second loss for its owners, who closed down another store, Bread Stuy, on Lewis Avenue between Decatur and MacDonough streets in 2011. Following the fire, the business has not found another brick and mortar location but its owners are operating a stand out of Weeksville Heritage Center. Massimiliano Nanni, former co-owner of popular Bed-Stuy restaurant Saraghina, set up shop down the block to open Mediterranean restaurant Celestino in 2012. Celestino closed its doors in May 2014 because there wasn’t enough business for a seafood-focused eatery in the location, according to a report by Brownstoner. It was set to be replaced by a Cajun comfort food spot from the owners of the Pink Tea Cup in Fort Greene. The yoga studio shut down due to issues with the building’s heat. Since opening in 2012, the café, juice bar and studio saw a 900 percent boost in membership, according to owners, but numbers declined with the temperatures. The issue was expected to be fixed in winter 2013, owners said. “Despite their assurances that this winter would be different, it's worse," read an email to customers. “…There was no other option." Are there any local favorites we missed? Let us know in the comments or on Twitter.